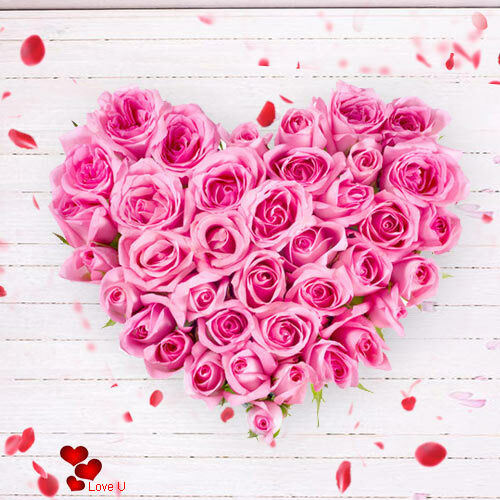 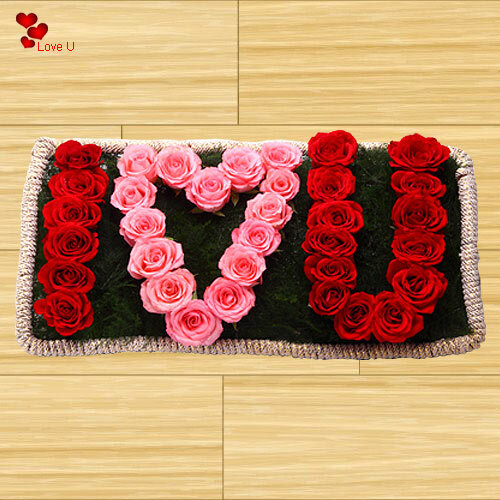 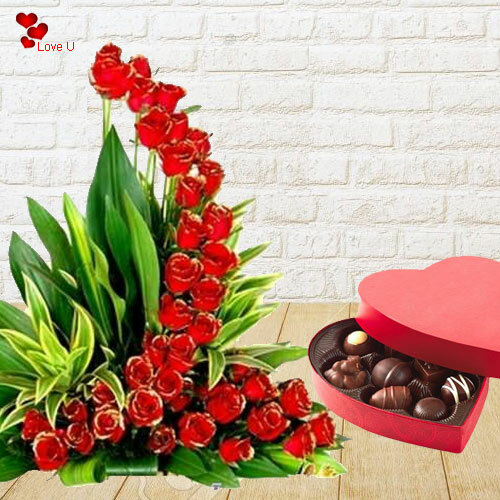 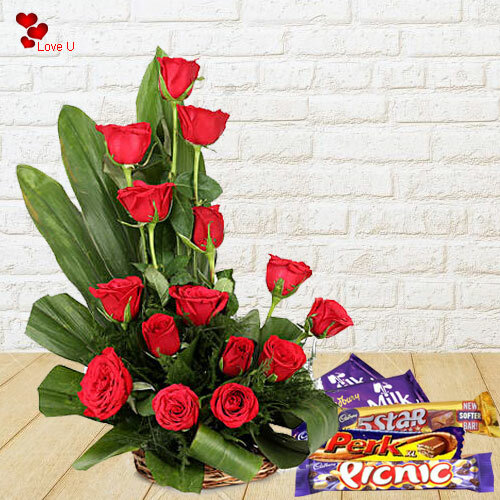 Valentine's Day flower delivery to India all the way from the UK can be a sweet and thoughtful gesture to show your loved one how you genuinely feel about them. 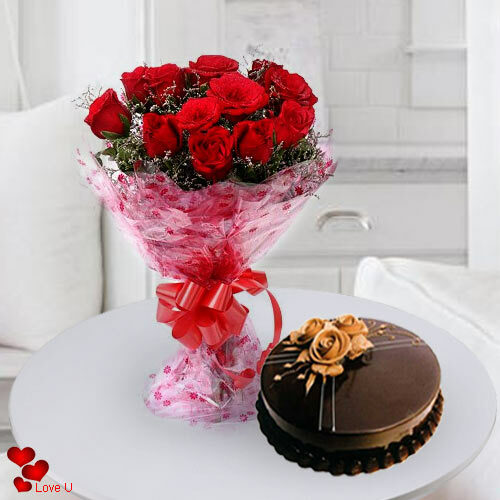 Even though you do not need a particular day dedicated to love to display your affections, it's nice to appear attentive, mainly if your partner or loved ones are into these things. 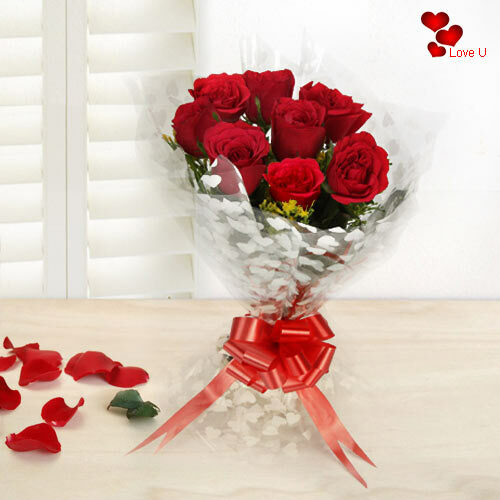 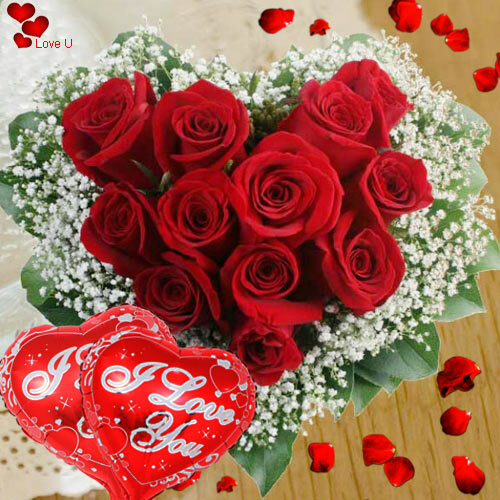 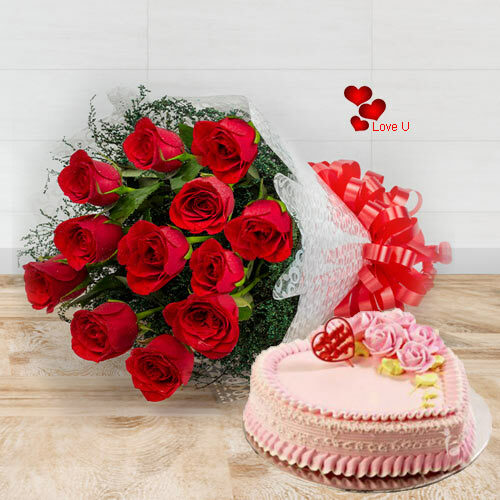 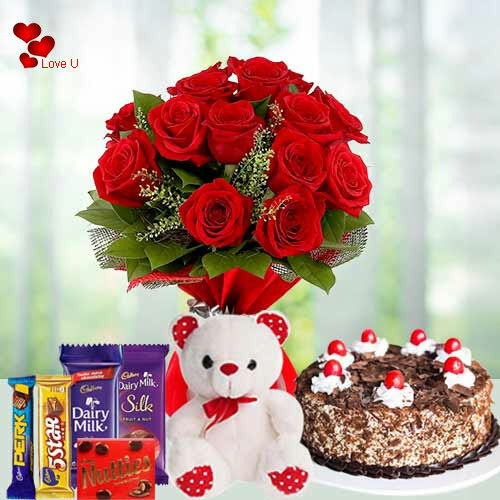 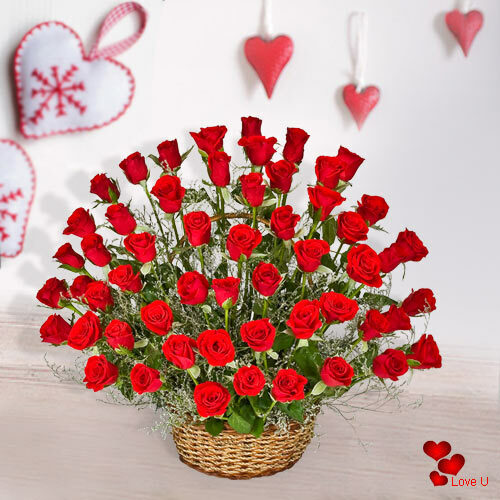 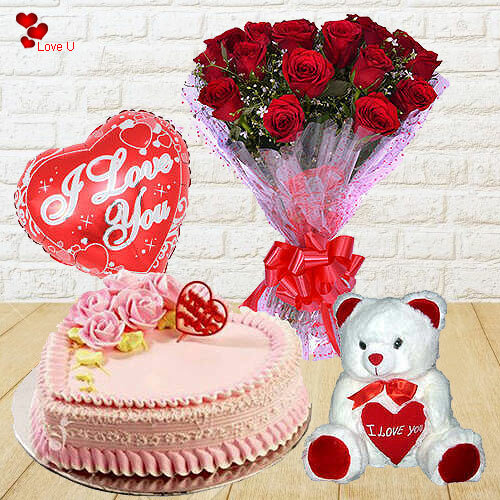 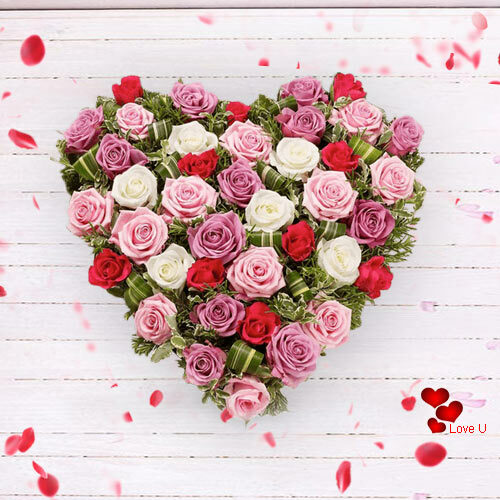 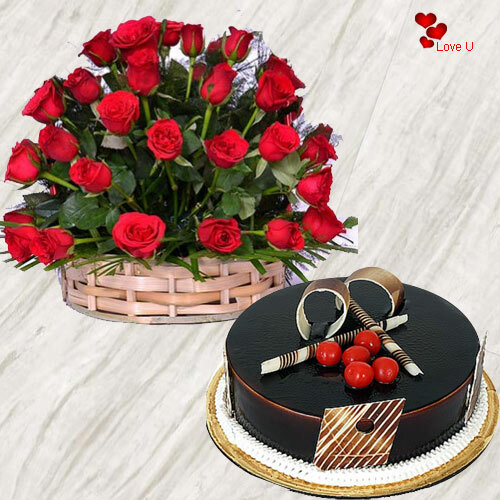 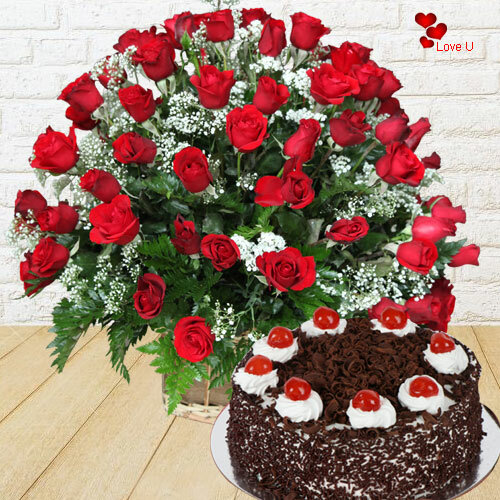 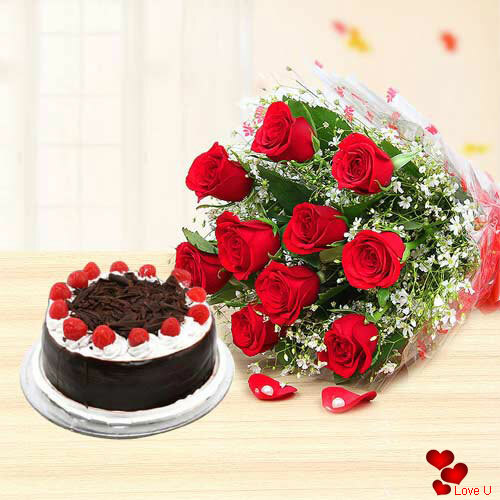 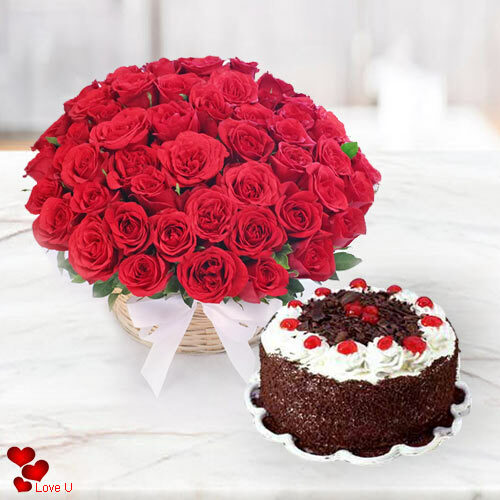 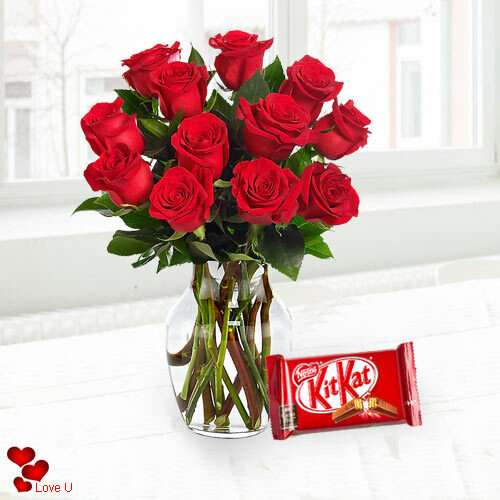 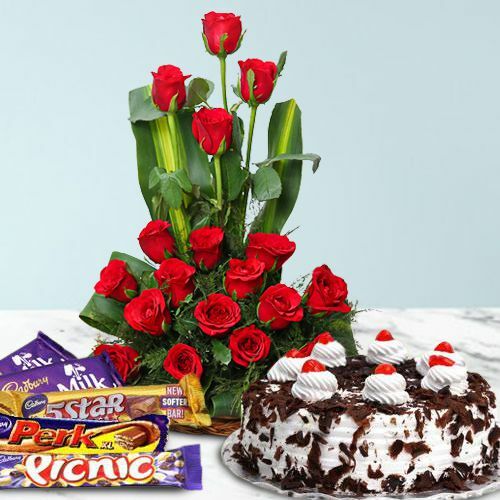 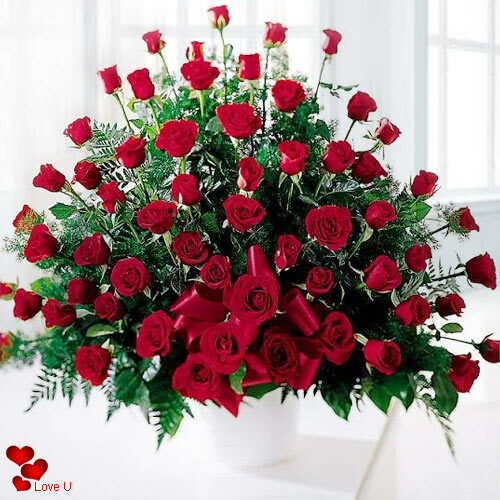 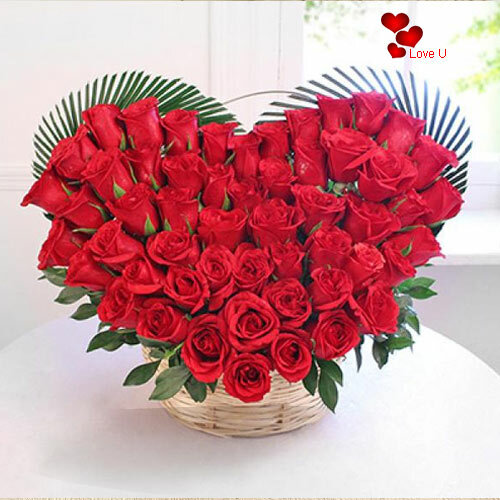 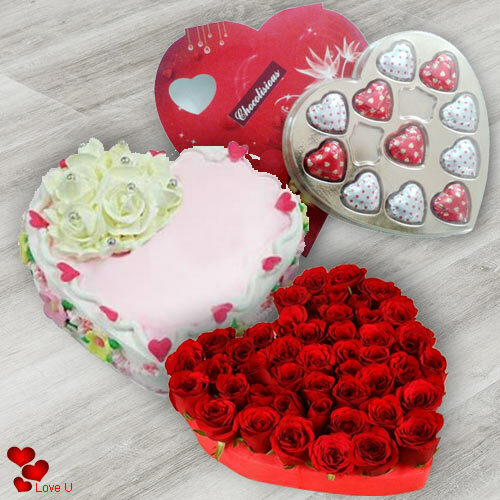 If you are looking for a trusted and assured way of sending Valentine's Day flowers to India, you can seek refuge from our professionals and customer service agents at India Online Florists. 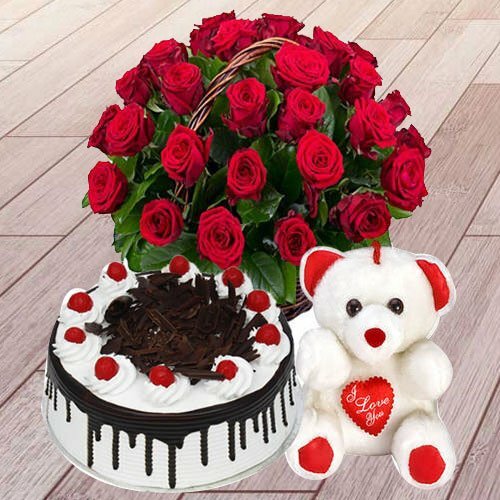 If you have any queries when it comes to how the delivery of Valentine's Day flowers to India from UK takes place, all you have to do is contact us. 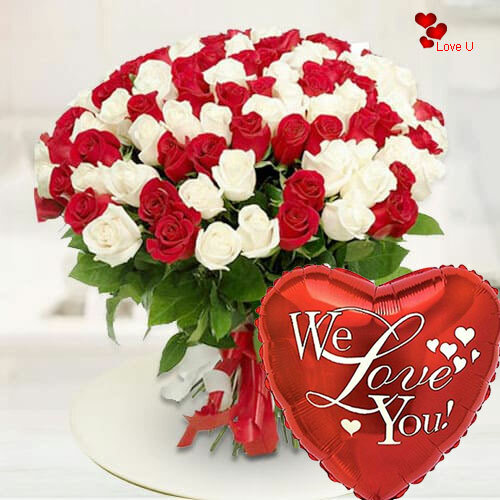 We are happy to help you with any information we can offer. 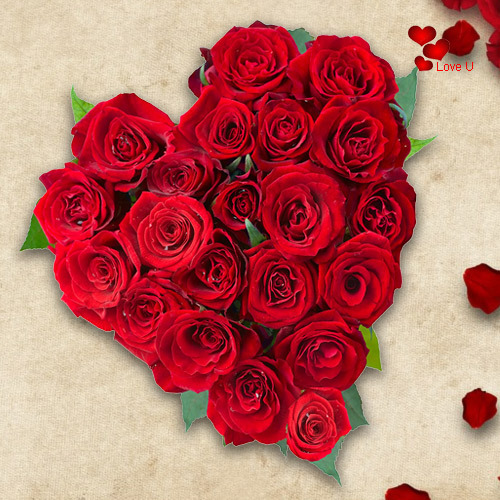 So what is holding you back? 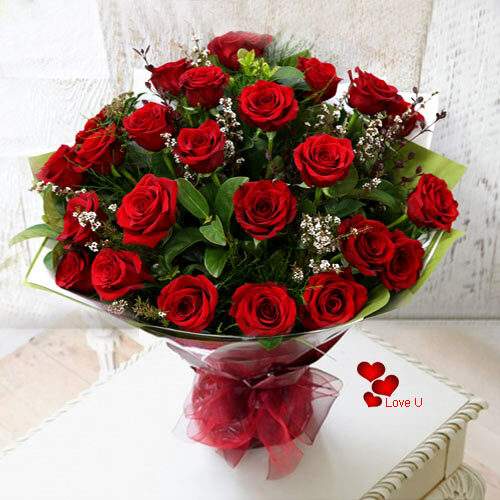 Go ahead, check out our wide collection of flowers today! 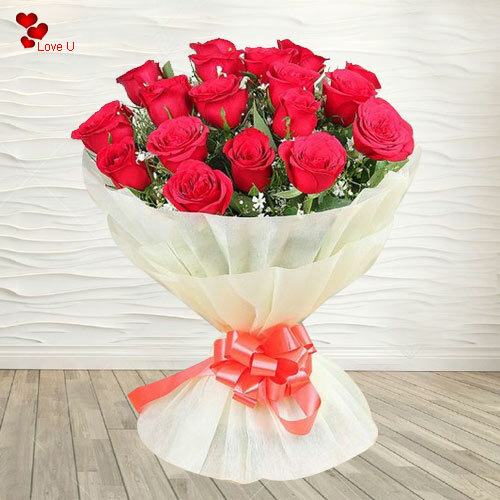 Whether you are looking for Dutch red roses, a bouquet of red and white roses, abasket of your favorite flowers or a bouquet complete with a teddy bear, you can know for a fact that you find what you are looking for in a unique and straightforward manner. 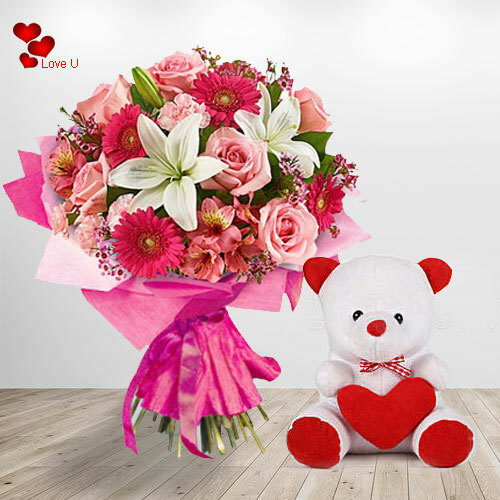 This makes choosing the best bouquet a laid-back and refreshing experience as you can check out all of the choices available in a caring and entertainingly. 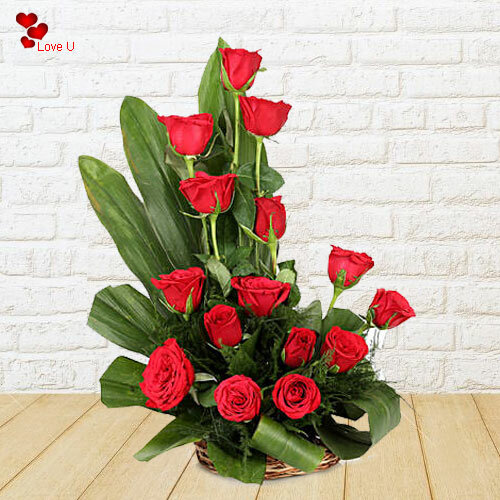 Sending Valentine's Day flowers to India is not at all tedious, certainly not when our expert team is right by your side. 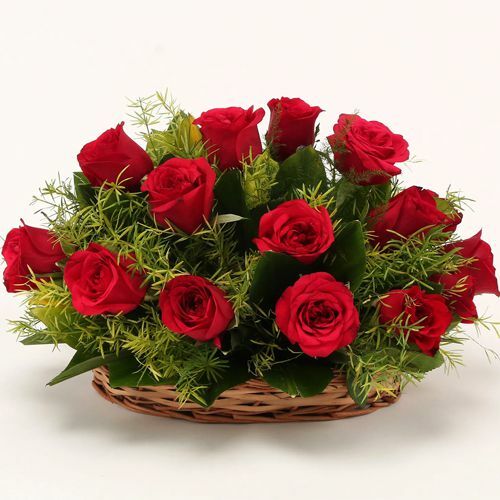 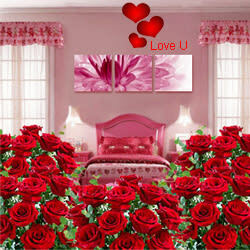 You can select from a varied range of bouquets and flowers before shortlisting the most appropriate one. 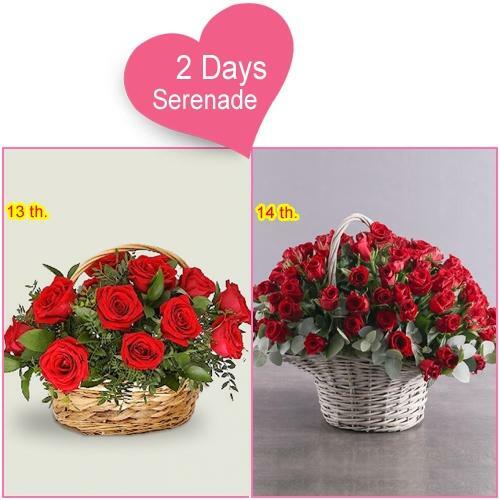 Following this, you can either choose to deliver your valentine flowers to India at midnight or on the same day, whichever is most applicable to you.